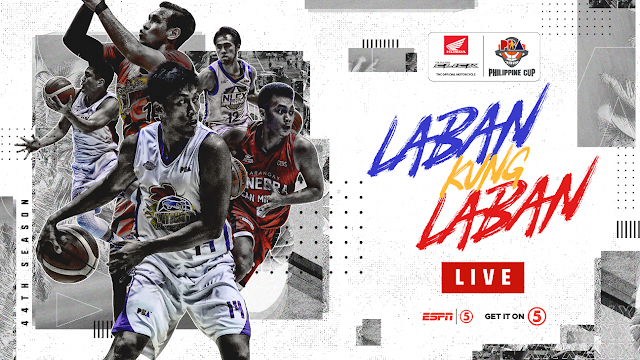 Watch the PBA Elimination round game between the NLEX Road Warrriors and the Barangay Ginebra San Miguel, Today, March 23, 2019 at the AUF Sports Arena & Cultural Center, Angeles, Pampanga. Tip off at 5:00 PM. The NLEX Road Warriors entering this match with a record of 4W-5L and they're at the 7th spot in the standings. This team won their last 2 games over the Blackwater and the Alaska Aces. On the other hand, the Ginebra is currently sitting at the 5th spot with a record of 5W-3L, they're also coming off a 2 winning streak over the Magnolia and the Phoenix Pulse.